Lincoln Park is dotted with public art. 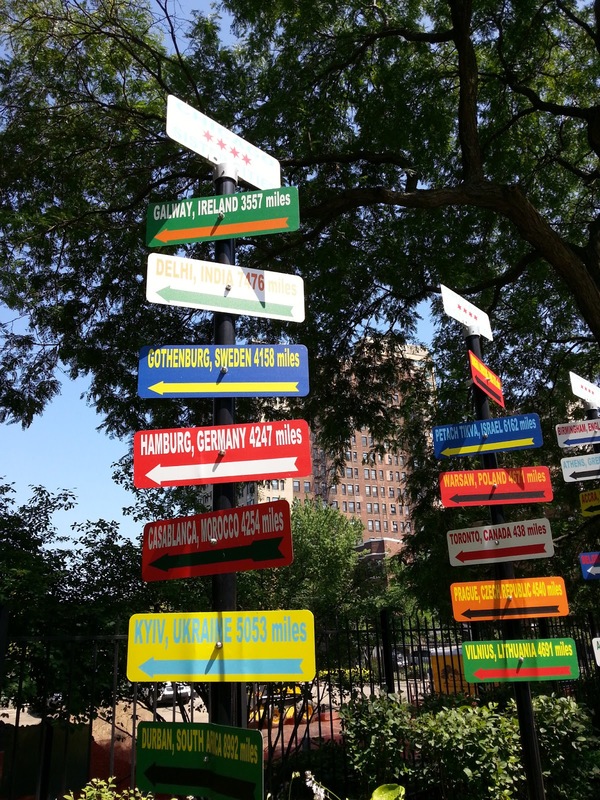 These signs in front of the Francis W. Parker School along North Clark Street at West Webster represent Chicago's Sister City relationships around the world. Better yet, they gave me a great opportunity to talk about other countries with my kids as we stopped and looked at our favorite signs. Spotted in Lincoln Park: Garfield Avenue? Free Wi-Fi at Chicago beaches!